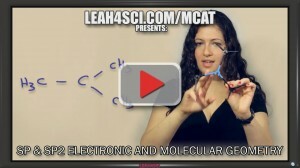 Welcome to the Leah4sci MCAT chemistry videos. 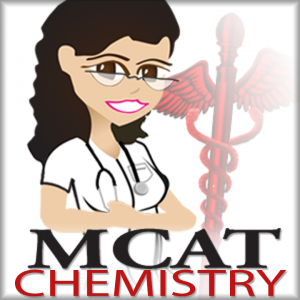 While the majority of my YouTube videos cover organic chemistry topics, I will slowly be adding general chemistry tutorials to help you prepare for every aspect of your upcoming MCAT. 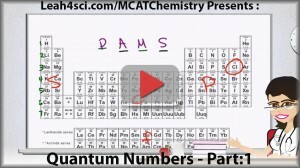 Electronic and molecular geometry can be quite overwhelming when studying MCAT Chemistry. So instead of simply memorizing the angles and shapes, its important that you have an intuitive understanding of how the VSEPR theory of electrons contributes to shapes and bond angles. Quantum numbers can be quite confusing WHEN YOU SIMPLY MEMORIZE. This mini series (2 videos) will show you the logic behind each electron ‘address’ to ensure you understand the information and can apply what you’ve learned to MCAT questions. 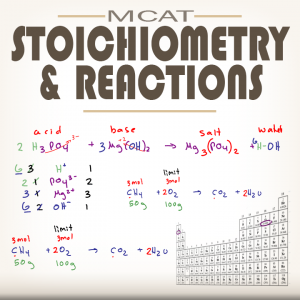 This Tutorial Video Series will guide you through the content you need to master for MCAT Chemistry Stoichiometry and Reactions. This series will help you master AAMC Content Category 4E! 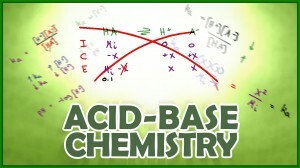 Acid base reactions are the foundation for how biological molecules react and interact with each other. Start with the non-math acid/base series for concept then watch this series for the calculation aspect of acid/base chemistry. and did I mention tricks and shortcuts for the different equations?